Roof maintenance can take many forms. From light repairs, to refurbishments and even replacements, roof maintenance is a vital part of owning a home. This is something with which we are familiar here at Strongguard. 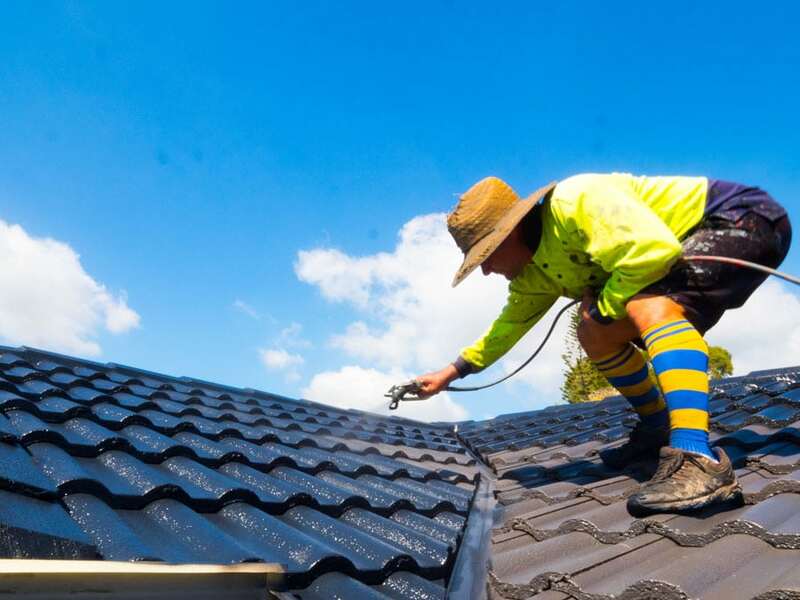 We offer a comprehensive variety of domestic and commercial roofing services, aimed at meeting the needs of every home and business owner in Brisbane’s Northside. 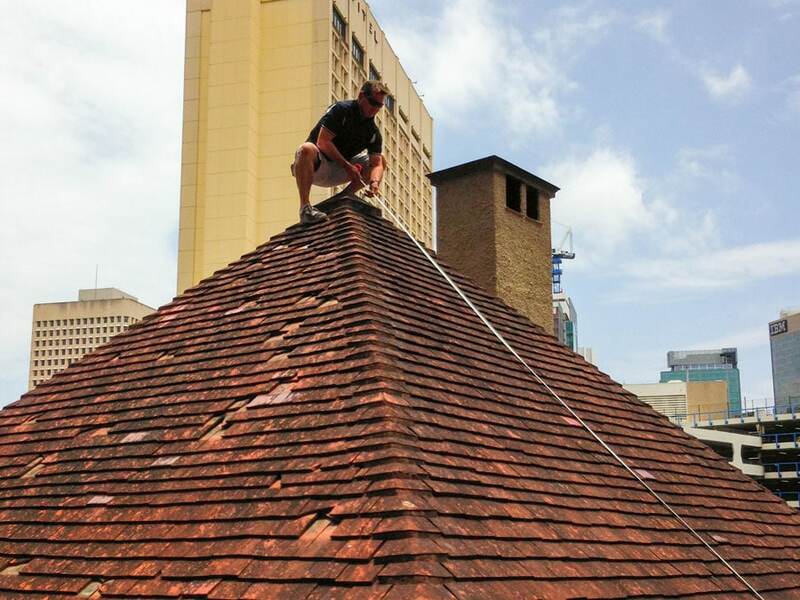 If your roof is in desperate need of some attention, then we can help. Our services include roof replacement and refurbishment – we even replace asbestos roofs. Even if you want a roof for aesthetic reasons we can help, with a wide variety of materials for both metal and tiled roofs on offer. In addition, we cater to commercial clients, with commercial roof repairs on offer, as well as insurance related repairs or replacements. With 20 years of industry experience, you can trust the team at Strongguard. Roof maintenance is a dynamic process that differs depending on the type of building in question. For example a metal roof on a commercial building will require different maintenance procedures than a tiled roof on a residential building. To make sure that this doesn’t inconvenience you, the team here at Strongguard offer targeted and diverse services aimed at meeting the needs of every homeowner and business owner in North Brisbane. We don’t limit ourselves to a certain type of roof – instead, we offer roof replacement, maintenance and repairs for domestic and commercial roofs. This allows us to provide all your roofing solutions in a convenient and efficient manner. As well as offering conventional roof repair and maintenance services, we also offer asbestos roof replacement. Asbestos roofs are not uncommon in homes of an older vintage and dealing with asbestos involves careful preparation. Asbestos removal should always be left to a professional, which is why we offer our services to remove, and then replace your asbestos roof. To facilitate our wide range of services, we have developed a targeted service approach. Our job begins as soon as you contact us and doesn’t end until the job is complete. You remain at the forefront of our priorities and we strive to identify and meet each of your roofing needs. The first stage of our service process is to get in contact with you. You can find us online and lodge and fill out an enquiry form, or you can call our office. Our team of administrative experts will take down the details of your query and determine the precise issue. With this information, we will run you through a few of your possible options and get a feel for how you would like to proceed. We will then schedule an estimator to come to your home and take a few measurements to write up a quote. This is normally free, except for commercial and insurance related jobs. Using the measurements gathered in the initial site visit, we will develop a quote and post or email it to you. You can then assess the terms of the quote and make a decision as to how you would like to proceed. We will call you to follow up on the quote and make sure that all of your questions are answered. If you would like to proceed with the job, simply confirm it with us and we will prepare for the final stage of the process. If you confirm the quote, then we will schedule our qualified roofers to begin working on your job. We will complete this work to an unmatched standard of quality. Upon completion, we will inspect each part of the job carefully to ensure that there are no faults. Following this, we will send you the bill. When you have paid the bill, your warranty will enter into action. If you would like to ensure that your roof is in great condition, or perhaps even organise a new one, then contact us today. You can call our office or fill out an online contact form and we will address any of your questions. 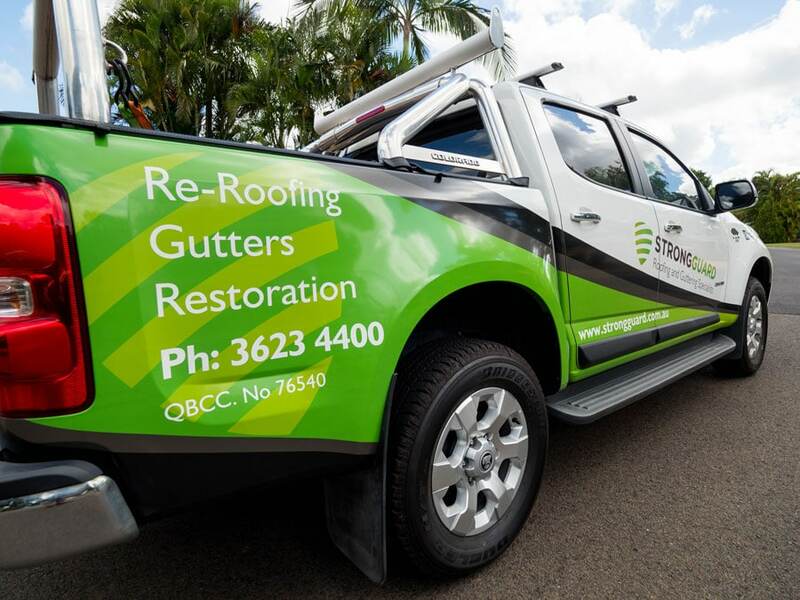 The team at Strongguard are your North Brisbane roofing experts, so see us today for comprehensive roofing solutions. #1 What is your payment process? Here at Strongguard, we do not demand a deposit in most cases. Instead, we send you an invoice when the work is completed. The terms of payment with regard to the invoice are NET seven days. This means that the invoice must be paid within seven days. Once payment is complete, the warranties for your work will become active. #2 Are you insured adequately? Insurance is a vital part of any construction work and roofing is no different. Because of this, we maintain both public and product liability insurance. For your peace of mind, we are insured for $10 million AUD. This means that each job we do is covered, should anything go wrong. #3 How long have you been operating? Strongguard has operated for over twenty years, which means that we have a great deal of experience in the roofing industry. This has allowed us to expand our services and truly meet the needs of our clients in terms of roofing in Brisbane Northside. #4 Do you have a licence? In accordance with professional and industry standards, we are licenced roofers and have a licence with QBCC (76540). In addition, we are members of the Queensland Master Builders Association. #5 Do you offer warranties for your work? 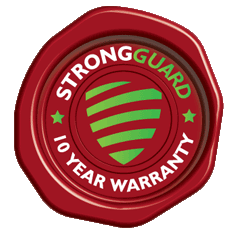 At Strongguard, we offer a 10 year workmanship warranty, as well as supplier product warranties. For this reason, you can rest assured that your roof is covered.